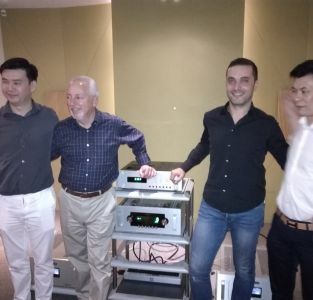 Bjorn Bengtsson and Perfect Hi-Fi’s Andy Tan at the Odin 2 launch. True to form, Nordost has stuck to its seven-year product cycle – the Odin 2 range was officially launched earlier this year while the Odin was launched back in 2008. 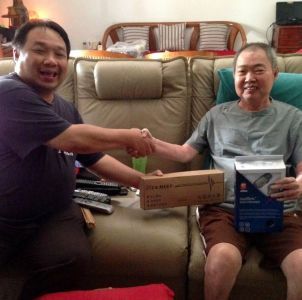 In Malaysia, the Odin 2 range was launched at Perfect Hi-Fi’s outlet in Wisma MPL, Kuala Lumpur, yesterday. 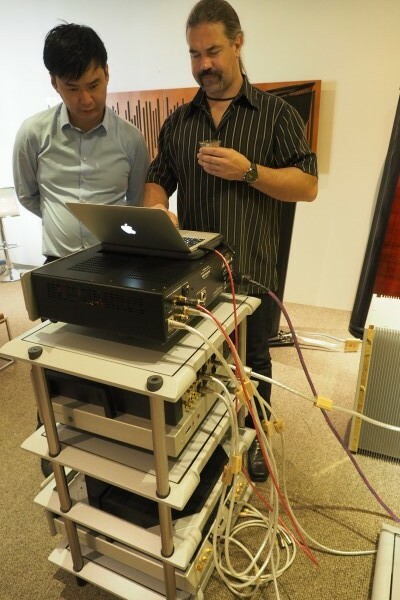 Doing the honours was Nordost International Product Training & Sales Support chief Bjorn Bengtsson. Bjorn said the Odin 2 builds on technology used for the lower Norse 2 series. “The conductors are the same…we use silver-plated high-purity copper wires individually shielded. We have made advancements in cable geometry and we can now measure precisely the electrical parameters caused by how far apart the conductors are from each other. We can control these parameters with cable geometry,” he said. 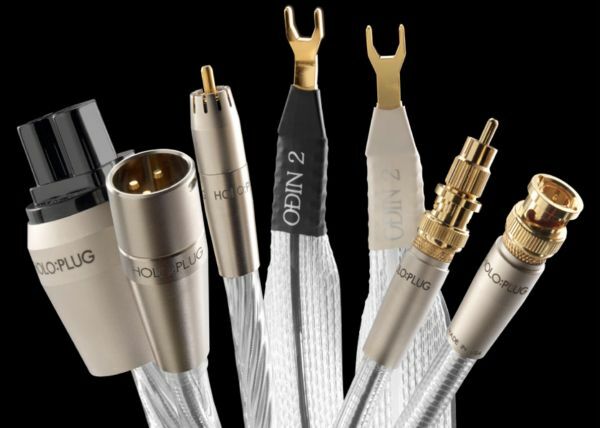 Also the newly-developed HOLO.PLUG which has a casing made from aluminium alloy and prongs made from gold-plated bronze is integral to the improved performance of the Odin 2 cables. With the HOLO-PLUG, the cable is shielded all the way from one connector the other connector. Previously, the cables were shielded from one end of the cable to the other end. There was no shielding where the cables were welded to the connector. Bronze was used for the prongs because it has a better mechanical resonance. “Some musical instruments are made from bronze,” he said. “It is hard to quantify which changed the sound more – whether it was the better cable geometry or the HOLO-PLUG. It is more a case of the whole is greater than the sum of its parts,” he said. 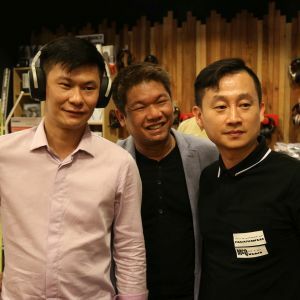 Alvin Tan of Perfect Hi-Fi and Bjorn checking the playlist. Note the Nordost cables plugged into the components. 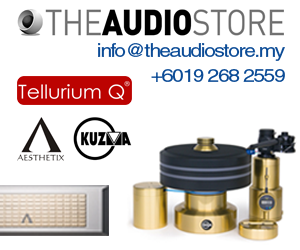 More Nordost components in the system. The Nordost Odin 2 speaker cable connected to the Sonus Faber. 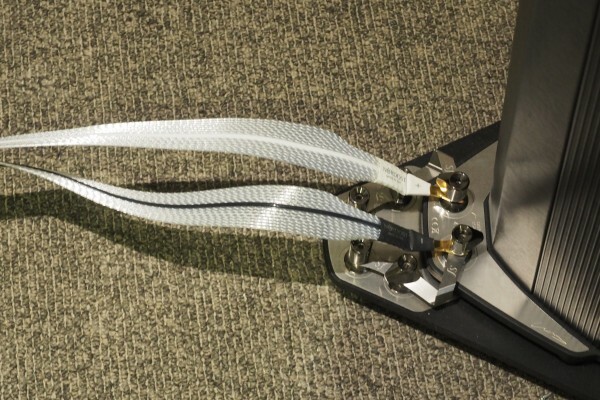 When asked why Nordost’s speaker cables are flat with parallel conductors looking like a sonic version of a highway, he said it is to lower the inductance. 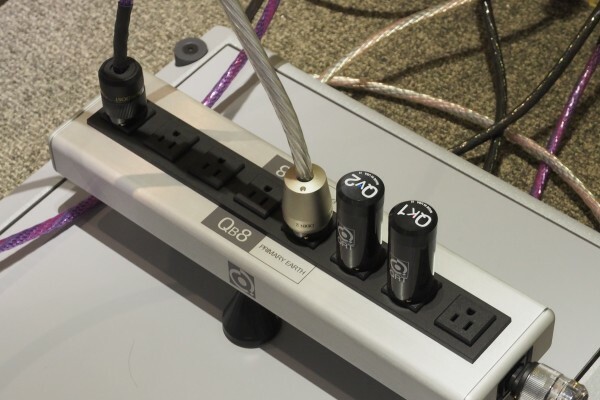 Speakers have varying resistive loads and speaker cables must have low inductance for the best performance. 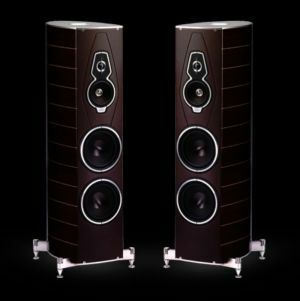 Using a system comprising a Wadia CD player, the Audio Research GS Pre, Goldmund Telos 3500 monoblocks and Sonus Faber speakers, Bjorn revealed the improvements in the Odin 2 range which have a new level of sound quality which will be difficult to surpass. We shall see what Nordost can come up with in 2022… Till then, the Odin 2 range represents the best that Nordost has for audiophiles. But all the improvements and enjoyment come at a price…a hefty price. For more details on the prices, please contact Perfect Hi-Fi.